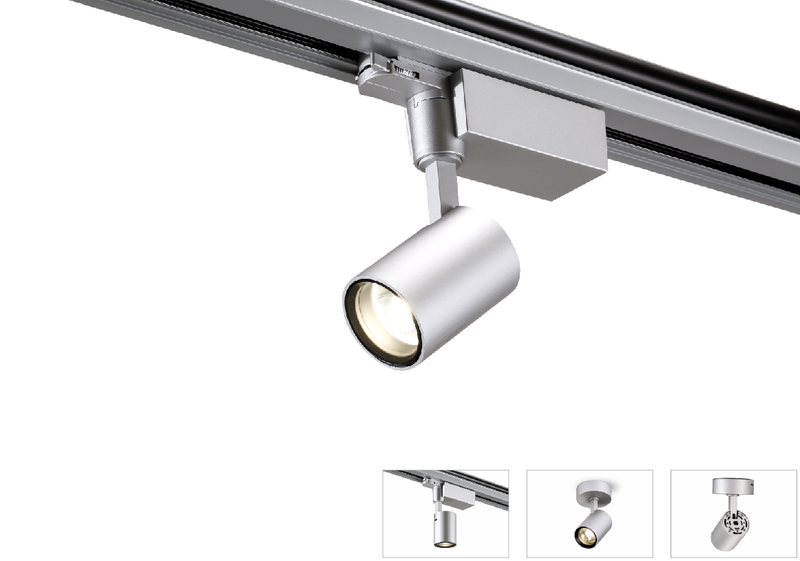 531 track/ ceiling mounted spot light with high quality extruded aluminum alloy in durable corrosion resistance, anti-fading and anti-scratch electrostatic thermo-painting finish. 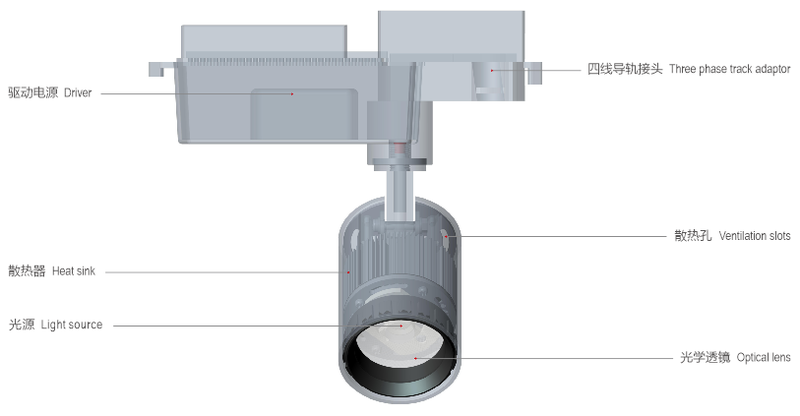 Professionally reflector designed according to different LED wave length well optimized the optimized the optical property and at the same time achieved the maximum lighting efficiency, 12°/24°/38° three beam angles available. Advance thermal management technology to ensure consistency of LED life span, color temperature and maximize output lumens. There are both track and ceiling mounted installed way for this fixture. Applications: Shopping malls, specialty stores, hotels, exhibitions and other places.